Welcome to this month’s round of Lazy Susan! For most of the country, and even here in So-Cal, there’s a chill in the air which lead us to slow-cooker or Crock Pot dishes. 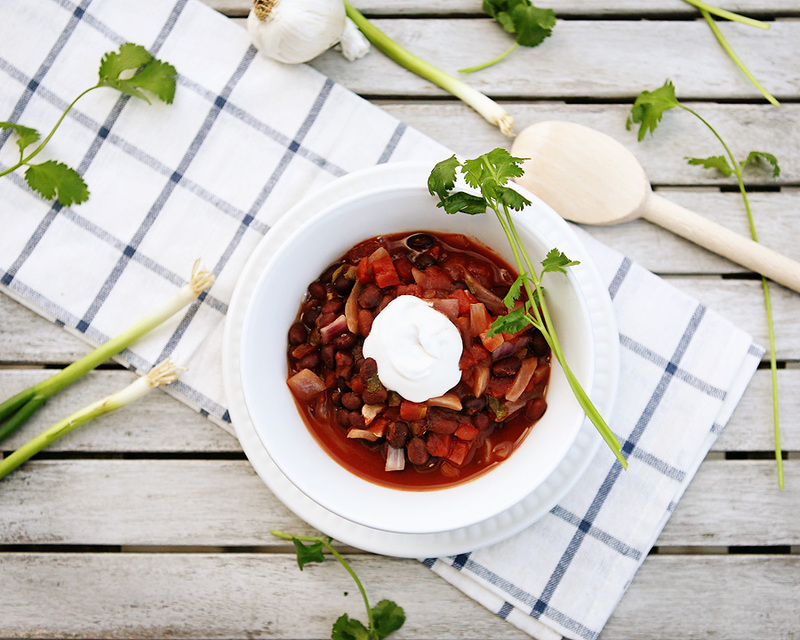 I love a good veggie chili and this one is easy, delicious, healthy and perfect to throw together for a family get together or party. and since I didn’t actually own a crock pot, a shopping trip was in order. I didn’t want to spend much and knew I didn’t need anything fancy, but something this cute just had to come home with me. 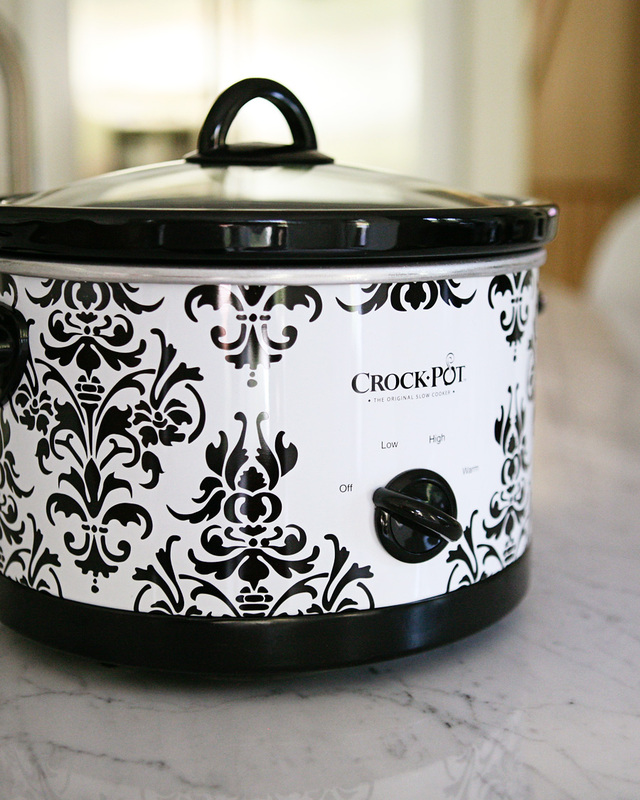 2 people in the store actually stopped me to comment on how cute my crock pot was! I left the store as a happy new crock-pot owner. (it’s only $20)! Now for the black bean chili and it’s little secret. Some of you may have tried this in chili, and for those who haven’t, you may think I have gone a tad crazy. It’s cocoa powder, and while you won’t have even a hint of chocolate taste in the end, it does help to add depth to the chili and a few extra antioxidants. This recipe is for a veggie chili, but my husband was used to a more traditional texture, and for him I added a little tvp. 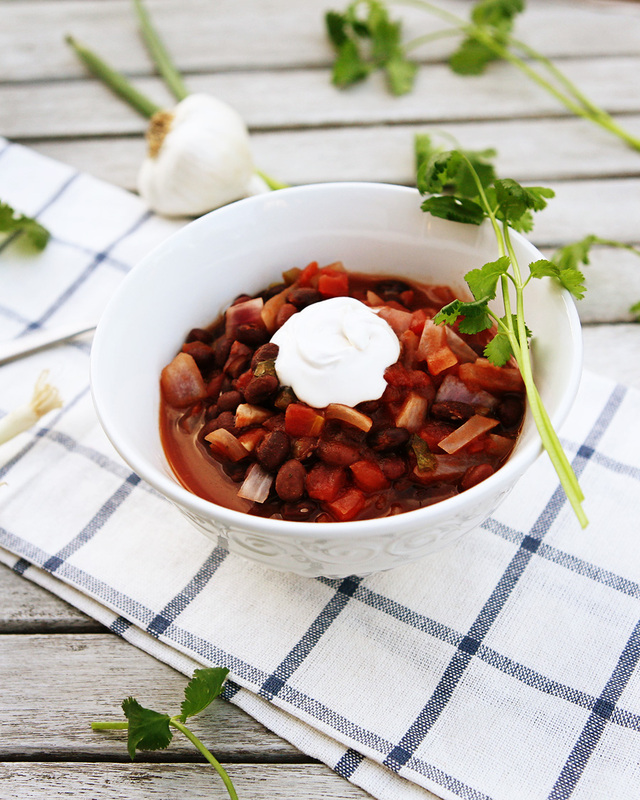 If you are used to veggie chili, I would keep the recipe as is. 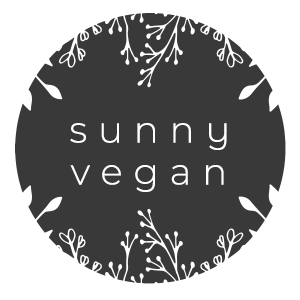 If you happen to be serving this to non veg-heads or recent converts, adding tvp or Boca ground crumbles certainly makes the texture more familiar. Use an additional 1/4 cup water if you decide to add tvp or crumbles. place all ingredients in crock pot or slow cooker and cook for 2-3 hours on high, or 4-5 hours on low. Ok- I hope you remember that Lazy Susan is an awesome group, so glad to have you along for our virtual pot luck, so keep on clicking and see Sara Tegman’s apple crisp ! Cocoa powder works wonderfully with chilli! I also put a little in my chilli tomato based sauces. Yummy! It takes the taste to a little more depth. Your crock pot is really cute and that for only $20, wow! 🙂 Enjoy! i am a fan of chili year round. 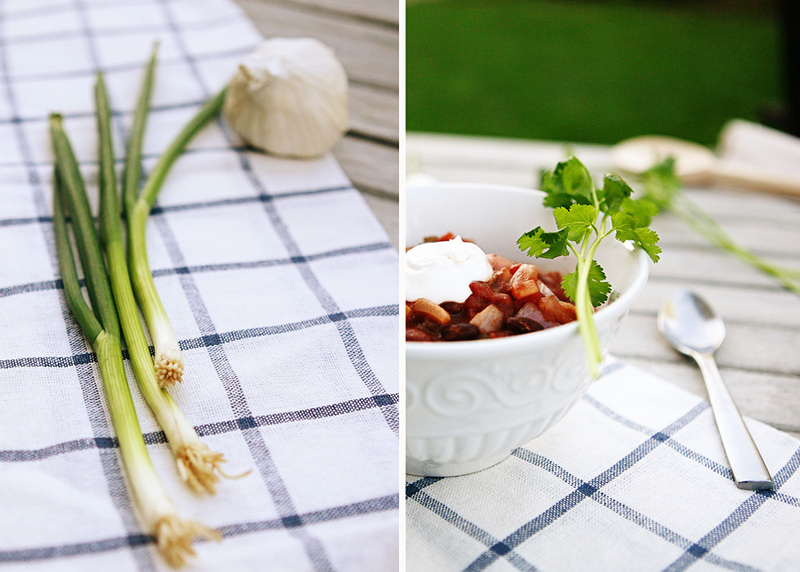 so so so tasty and i will be making this one.